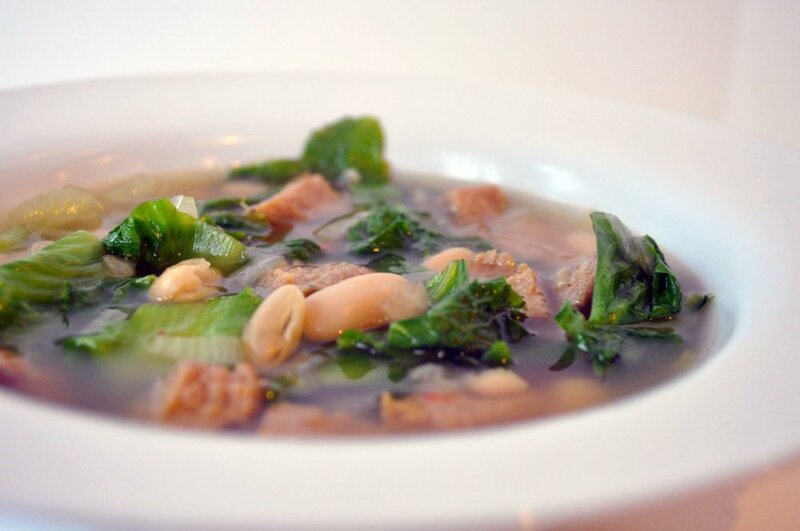 Simple escarole and bean soup. Thanks to dailyhomemade for the photo. Recently, we’ve developed quite the craving for hearty greens such as Swiss chard, red chard, bitter dandelions, kale, and escarole. Maybe it’s a function of aging or my body telling me to eat less salumi and rice balls (arancini) and more naturally occurring, and unmanipulated, food types. Add the garlic and hot pepper flakes to a large pot along with 3 tablespoons of olive oil and begin heating the pot (if you're using onion add it here as well). Sautée the garlic for a minute or so and add the escarole and cook until wilted, about 3-4 minutes. Add salt, water, and beans. Cover and simmer for 10-15 minutes. Add salt and pepper to taste. You can, of course, simmer the mixture longer, if needed to develop more intense flavor. After moving the soup to your serving bowl, drizzle the remaining olive oil over the beans and escarole and grate a bit of Parmigiano-Reggiano over the soup. Serve the soup with a good quality bread (if you happen to live in the New York City area, then go and get some bread from Sullivan Street Bakery) and a glass of Ciro from Calabria. The soup makes a wonderful, stand-alone, lunch! You can find our Sautéed Escarole with Garlic recipe here. I used to have this soup as a child, in Southern Italy. You’re bringing back so many memories with your posts. Thank you. Looks like my recipe which is what I put together over the years from memories of my grandmother’s soup. You need the good loaf of what they now call Bastone bread with seeds, what we used to just call ‘Italian Bread’.. I can smell it, and see my grandmother smiling. We have a recipe for “pane-siciliano” which sounds like what you describe. Thanks for the comment! Vincent, Thanks so much for the wonderful recipe. Am about to make another batch of ham-bone – bean soup. I also add lots of onions, leeks, carrots, potato. My question to you is: Do you prefer Escarole to Chard in these soups? and why, or what is the difference? 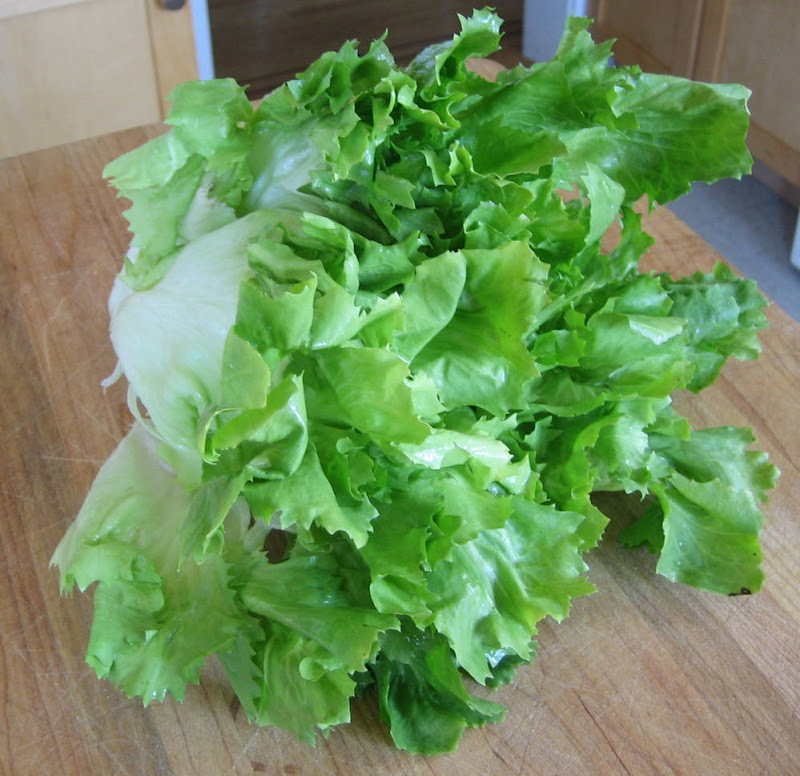 Chard is a bit tougher so i prefer escarole. Escarole seems to break down easier and in my view is a bit nicer in a soup. I like both sauteed, but I don’t do chard in soup very often (outside of a potato and chard soup my mother taught me).